Happy Valentines Day! 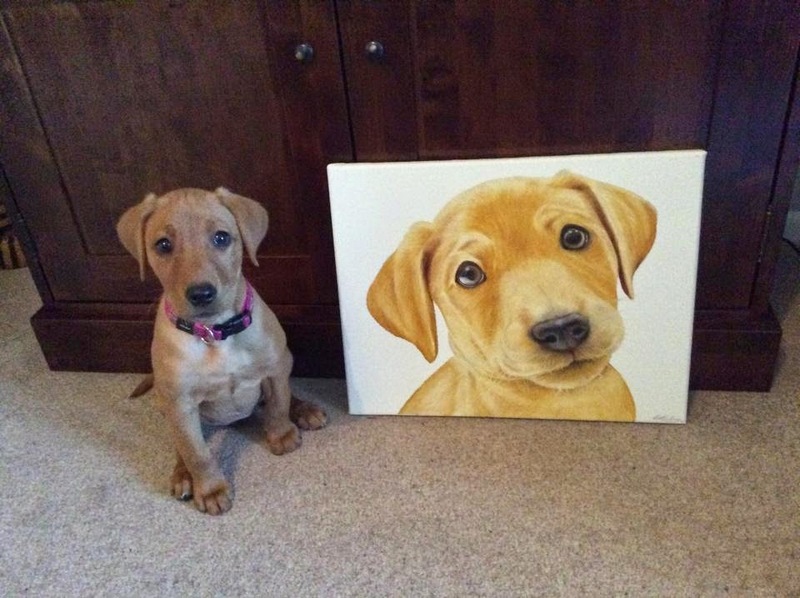 I was asked to paint the adorable Labrador puppy Roxy for a Valentines present for newly married couple Louise and Chris. They got Roxy just after returning from Honeymoon and so I popped over when she was just 12 weeks old to take some pics and have some cuddles! Louise gave the painting as a Valentines present to Chris on Valentines morning and I hear he loves it! Definitely makes a nice change from the usual chocolates and flowers!